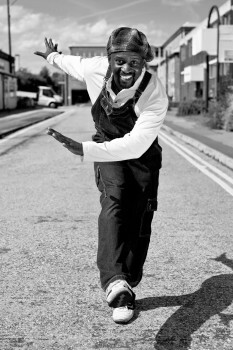 Hi I’m Jerome Anderson, and I’m passionate about all things relating to music and dance. 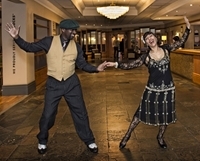 I‘m a dance teacher and performer based in Margate, Kent, specialising in Swing based dance – Jive, Lindy Hop and Charleston. 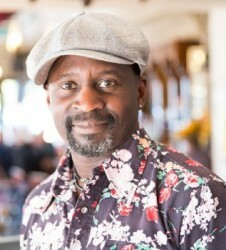 I’m also a DJ, playing an eclectic mix of jazz, funk, soul and swing in various venues across Thanet and the South East. My first memories of swing music date back to my childhood growing up in London, listening to my Mum and Dad playing and also dancing to big band music from the forties and fifties. 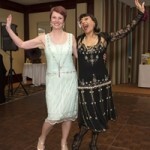 Purely by chance, I started dancing to swing to impress a girl I met (well, who doesn’t like a good dance partner?) and the rest is history. 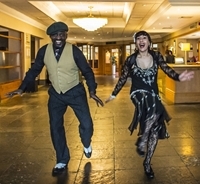 I’ve now been dancing to Swing for over 25 years, and was lucky enough to have met and danced with the great Frankie Manning on several occasions when he visited the UK in the 90’s.His enthusiasm for dance was infectious, and spurred me on to begin teaching in the Savoy style, which Frankie preferred. To find details of my classes in Margate and the surrounding area, click here. My love for Djing began some years back, in a tiny club off Tottenham Court Road. A good friend of mine called Adrian had been nagging me to ‘come down and play some tunes’ for a while, and I finally plucked up the courage to bag up some vinyl and play. It was the beginning of my love affair behind the decks as well as dancing in front of them. 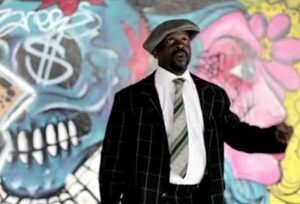 I’m happiest mixing up my eras, and specialise in an eclectic mix from funk to soul, swing to jazz with a little reggae and ska thrown in for your listening pleasure. I DJ’d regularly in East London, and having recently moved to Margate in Kent, I am now playing at venues in and around Thanet. I am also available for private parties, wedding etc. Please contact me to discuss your requirements.